Discover cash-back and financing incentives to improve the comfort and energy-efficiency of your home with Watchung's Going Green ~ One Home At A Time Home Energy Audit Program. The Watchung's Going Green ~ One Home At A Time program utilized the purchasing power of our municipality to secure a negotiated rate on a home energy audit for Watchung residents at a significant discount from the prevailing rate through, Ciel Power LLC. The Watchung's Going Green ~ One Home At A Time campaign was established by the Borough of Watchung as a way to promote awareness of practical resources available to Watchung residents that will help save energy and money while bringing us closer to achieving our goal of a sustainable Watchung. 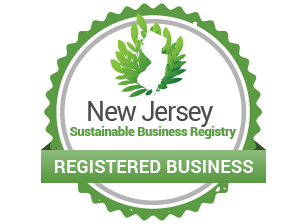 A Watchung's Going Green ~ One Home At A Time Home Energy Audit is an all-in-one solution with New Jersey's premier home energy audit provider. With the power of a Watchung's Going Green ~ One Home At A Time Home Energy Audit, you can get the answers you need to make smart, budget-friendly upgrades to your home. Speed your decision making process with our easy-to-understand savings projections, comprehensive project pricing, and our detailed incentive breakdowns. Solve comfort issues with the help of our experienced Home Performance Consultants who provide the most personalized customer experience in the industry. Get started with a Watchung's Going Green ~ One Home At A Time Home Energy Audit.